Police in the US state of Connecticut have found an unlikely culprit for the heavy snowstorm and his name is Chuckles, the official state groundhog. 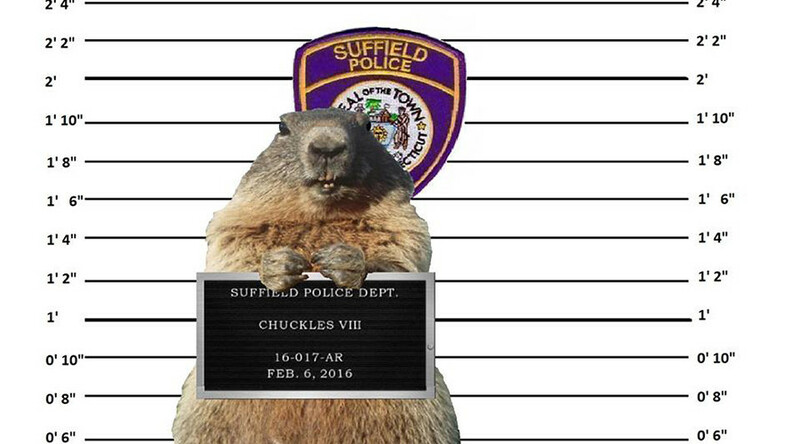 In what appears to either be a quiet weekend for Suffield police department in Hartford County or someone has just learned how to use Photoshop, a "mugshot" of the groundhog was posted to the department’s Facebook page Saturday, stating the critter had been "arrested" and "charged" after falsely claiming there would be an early spring. The post, which has been shared over 1,100 times, states that Chuckles "is being held at the Suffield Animal Control lockup while he awaits trial, if convicted Chuckles could face up to six weeks." Connecticut has been hit with a heavy snowstorm over the past number of days with temperatures dipping to 28 degrees Fahrenheit (-2 degrees Celsius) and authorities working to clear snow covered roads. In a follow-up post, when staff may or may not have been bored again, police stated "Chuckles has a bond! A $10,000 bond." Good charity was at the source of Suffield’s wry accusations, stating that Lutz Children's Museum, a local non-profit organisation, was "representing Chuckles as her legal team". "Donations actually go to help the non profit children's museum," the post reads.